Life is better when a house is a home. Home is at the center of every person’s well-being and livelihood. We believe there are enough beds, blankets, pots and pans, and furnishings circulating in our community for everyone. You’ve likely heard of a food bank? 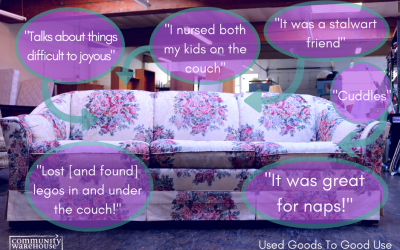 Our furniture bank mission is similar, except we focus on household goods and furnishings. Community Warehouse provides the essential items that turn empty rooms into homes. 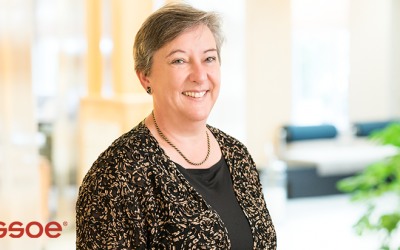 This video demonstrates how we also provide an opportunity to build connections with family and neighbors. Thanks to our partners from Transition Projects, Portland Homeless Family Solutions, and Latino Network for sharing their stories with us. Our donors provide sustaining support for local families. Any donation, large or small, goes straight to our mission – and builds the foundation for healthy, happy homes. That couch you’ve thought about replacing? Yeah, that could change a life. Put your used goods to good use. Learn what, where, and when you can donate. Shop our Estate Store, filled with unique furniture you won’t find at any old department store. All proceeds go directly to support the Community Warehouse mission. Read about the huge impact a simple piece of furniture can have. 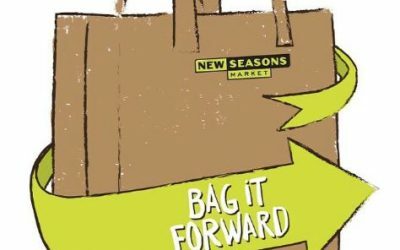 Community Warehouse will be a six-month Bag-It-Forward beneficiary at not one but four New Seasons store locations! When we needed a comfortable and reliable place to land, The Purple Couch was always there for us. My experience was a great one. The Warehouse helped me and my daughter get our lives back on track. We had lost so much and they helped us get some of it back. We can’t thank them enough for the things they gave us to start over with.